Der Fischer is dedicated to the in those days famous Dutch tenor Johan Rogmans. Like Heine’s Der Abend kommt gezogen (see RC 11), a text that Diepenbrock would set to music a few months later, Goethe’s poem is a so-called ‘Wasserfrauen-Gedicht’ (mermaid poem). The ballad about a fisherman who is ruined because he can’t resist the lure of a mermaid, offered the young composer plenty of scope for text expression. 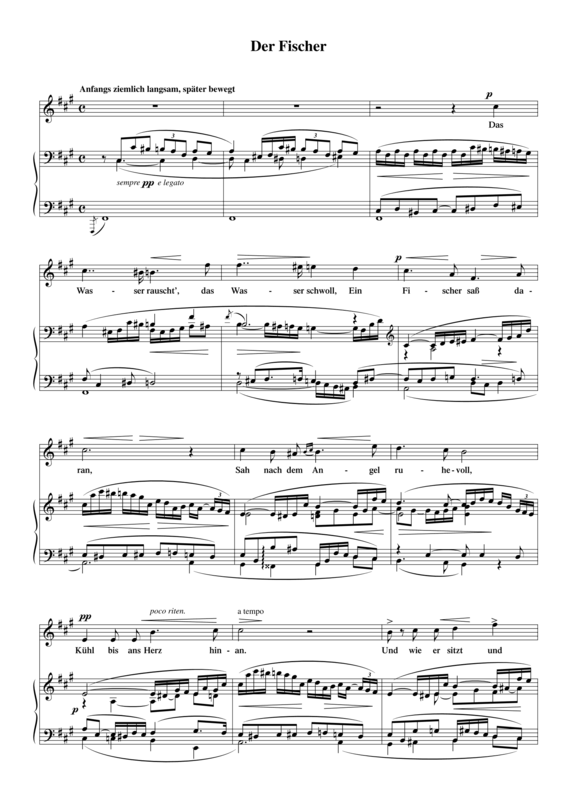 In an article in Key Notes of 1976 Eduard Reeser characterised the melodic phrase with which the piano opens this song as concentrating in a nutshell three characteristics of this composer. They are the leap of an octave, the triplet and the descending melodic line. 2 As the opening motive is employed in the course of the composition to illustrate crucial moments in the text (e.g. “Hinauf in Todesglut” – Up here to this deadly glow), it can be called a fate motive. Although the song is through-composed, the structure of the poem is still recognisable thanks to the short interludes between the verses. Through the tempo – Anfangs ziemlich langsam, später bewegt – which becomes faster with every segment, the tension builds up towards the dramatic end. The main tempos regularly undergo refinements with small or larger ritenutos, displaying Diepenbrock’s desire for an almost continuous rubato. 1 A. Lekman in De Portefeuille (7 November 1885), see BD V:782-784. 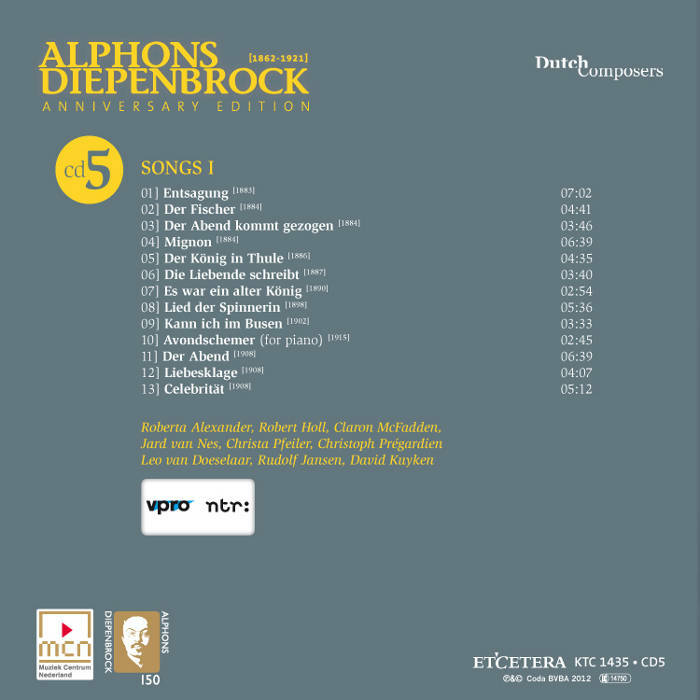 2 Eduard Reeser, ‘Some Melodic Patterns in the Music of Alphons Diepenbrock’, Key Notes 3/1 (1976), 16.